Children, just like adults, experience stress. Common stressors for children include school and family issues. School stressors may include excessive or difficult homework, test anxiety, peer pressure, bullying, and learning difficulties. 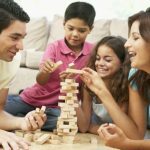 Family issues may include parental arguing, divorce, moving homes, new sibling, major illness, death, loss, and transitions. Counseling can help children and adolescents learn how to identify causes of their distress, develop their skills in asking for help and expressing emotions, and improve their problem-solving abilities. Our approach to child/adolescent therapy involves therapeutic conversations and interactions between a therapist and a child or family. It can help children and families understand and resolve problems, modify behavior, and make positive changes in their lives. There are several types of psychotherapy that involve different approaches, techniques and interventions. At times, a combination of different approaches may be helpful.